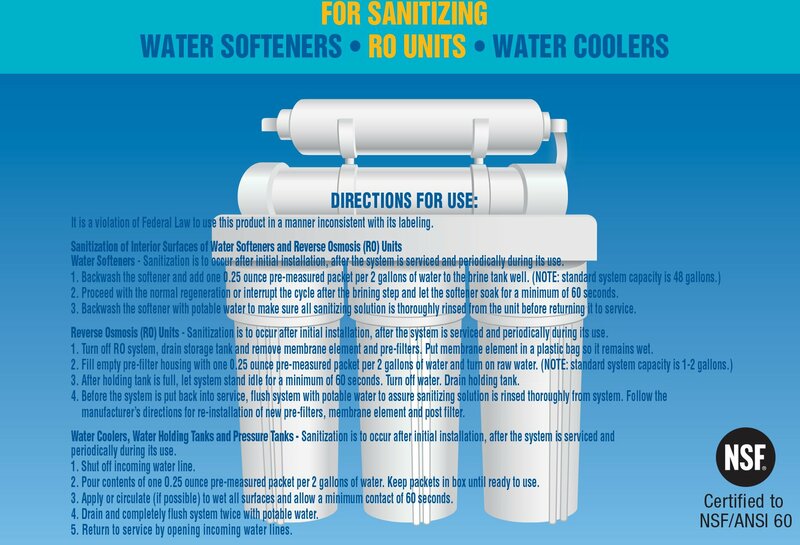 Keep Your Reverse Osmosis System Clean! 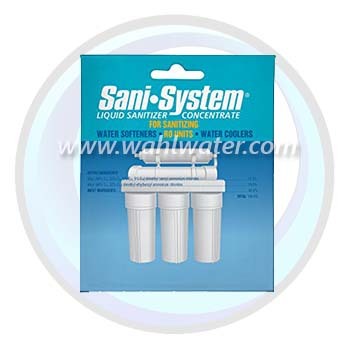 Sani-System® Liquid Sanitizer Concentrate is the only EPA registered & NSF approved sanitizer for use in water softeners and reverse osmosis units. It’s proven to kill 99.99% of harmful bacteria without using chlorine, oxidizers or acids that can harm system equipment, parts and resin. Each packet of concentrated formula sanitizes equipment in just 60 seconds and is available in exact pre-measured doses for both water softeners and RO units. 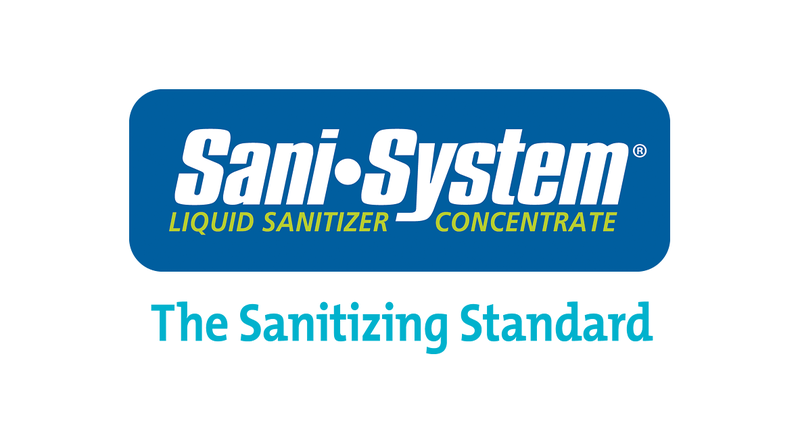 Sani-System’s no-mess ease and accuracy answers our industry’s most important sanitizing concerns. 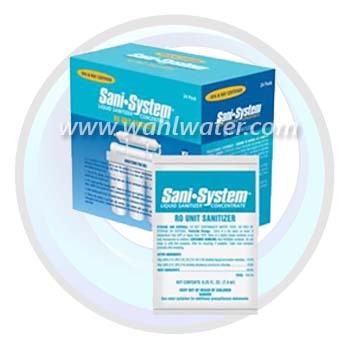 Sani-System is effective, efficient and easy to use – it’s as simple as that! *** The industry's only EPA registered & NSF approved sanitizer delivers reliable, effective results every time.